You have decided to abandon the pack and strike out on your own. No cozy, sheltered classroom French lessons for you. To survive, you’ll have to tap into your natural instincts and feel out what works best for you. But is it really possible to learn alone out in the linguistic wilderness? It’s survival of the fittest French speakers out there. However, the idea of teaching yourself French — deciding what, when and how to learn — can be very appealing. This is often the case for shy or self-conscious French beginners who want to build confidence before speaking in front of others. There is a persistent myth that the only way for an English speaker to learn French is by classroom instruction or tutoring combined with spending time in a French-speaking country. While this process may be ideal for some, there are other ways to achieve a thorough immersive experience under your own power! If you would like to learn French on your own, there’s no reason you shouldn’t be successful as long as you go about learning in a way that works for you. Here are some essential tips for finding your perfect learning strategy. Learning on your own means you might not have opportunities to speak French with others often. So create your own opportunities. Pour yourself a glass of wine. Talk about whatever’s on your mind. Feeling a little silly is a small price to pay for fluency. Talking to yourself in French serves two purposes. The first is gaining experience speaking the language and learning to appreciate the feel of the words in your mouth. The second is organizing your thoughts in French. This makes practical use of your existing knowledge and shows you where you need to fill in the gaps. 2. Get Into a Natural Rhythm. By teaching yourself, you will be much more closely attuned to your needs and desires. In a class, you may go with the pack. Since you’re out there alone, this is your chance to figure out when your different techniques are most effective for you. Having a routine is important, so it’s worth some time and effort to develop a routine that works. My first coffee of the day has always been important to me, but never more than when I incorporated it into my morning French routine. I would listen to a podcast every morning. I would get ready for work, eat breakfast, pour myself a cup of coffee and sit down in front of my computer. I would listen to the podcast and follow the transcript as I sipped my coffee. The podcasts were often related to news items, so this was my version of the morning paper. I came to appreciate them as a peaceful and invigorating part of my day. I never thought of this process as studying — what a luxury! If you like podcasts, you’ll also like our FluentU iOS app. 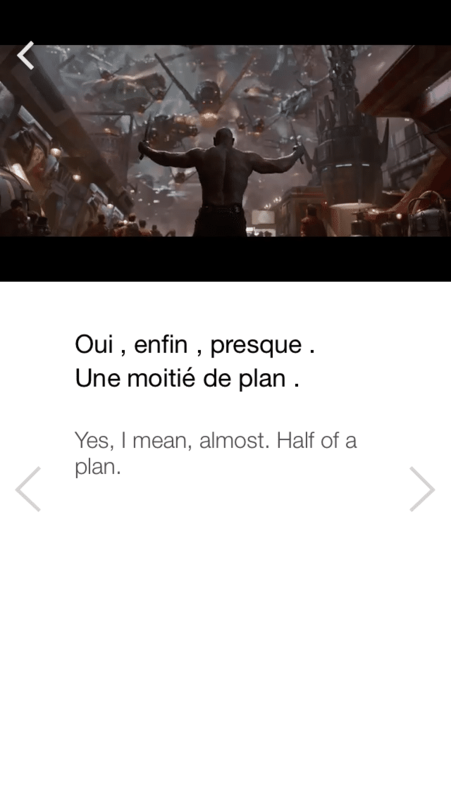 It lets you learn real French through real-world videos like music videos, movie trailers, news, and inspiring talks. Don’t just make time for French, make your time French! If you’re inclined to go to a movie, watch a French film instead. If you listen to the radio while you’re working, listen to a French station. Even traditional forms of study, like reviewing flashcards, can be combined with something you enjoy. Go to a park, a café or someplace you can relax. Listen to lessons or podcasts while you’re working out. You need goals that will motivate you! For example, you might want to be able to read a particular book in French that at the moment is impossible to get through. You might want to watch a particular film without annoying subtitles. It helps to think more specifically than “I want to be able to speak French” or “I want to be fluent.” If you instead ask yourself, “Why do I want to be fluent?” and make a list of the things that you would enjoy doing if you were, you’ll be better able to set milestones for yourself and recognize when you reach one. One of the biggest — if not the biggest — hazard of studying a language on your own is reinforcing your own bad habits. For example, if you’re reading out loud your pronunciation might be off. If you keep a journal (which is a good idea) you’ll probably miss some spelling and grammatical errors even if you do your best with the knowledge you have. It can be tough to know when you’re doing something wrong without a teacher or partner, but it’s not impossible. Here are some resources and techniques that will help you. Having a pen pal or language exchange partner to correct your errors is a good idea. If you find someone who is reliable and willing to help you, that’s great. However, if you have trouble finding someone or if you want to have more of your writing corrected than they have time for, an excellent alternative is Lang-8. You can sign up, write a journal entry and have it corrected by native speakers. Multiple sets of eyes on your work means more reliable proofreading, and even more so when you’re dealing with people who actually live with the language! Listening to native speakers in video or audio is good for your pronunciation and accent, but it might not be enough. If you already have audio programs in which speakers demonstrate a phrase and pause while you repeat, using them as prescribed will probably help a lot. But here’s something that I’ve found works even better: As soon as the person starts talking, start talking along with them. Ideally, you’ll want to speak almost simultaneously, but realistically you’ll probably wind up a little behind. Following closely behind the speaker like this allows you to grasp more of their accent and be able to better imitate it. From there, it’s easier to reach a point where the imitation becomes automatic. It might feel weird when you first try it, but it’s a skill that can be learned. This exercise is part of Alexander Arguelles’ “shadowing” method. In shadowing, the same technique is applied while walking back and forth outside. I’m not making this up. This means you’ll have to devote less mental energy to your French while focusing on walking and gesturing — the end goal is to start speaking the language more naturally and automatically, with less thinking and formulating time involved. If you’re the type who can walk and chew gum at the same time, look into it. It appears to have worked for a lot of people! As it’s important to invest time in your French education, it’s also important to be willing to invest a little money. However, the best resources aren’t always the most expensive ones. The best resources for you are going to depend on your individual learning methods and what’s available to you. In general, I’ve found Berlitz to be reliable, and they cover a variety of approaches and subjects. Also, McGraw Hill Practice Makes Perfect workbooks offer simple, guided exercises. These are inexpensive, readily available and the product of decades of academic publishing. A great place to find these resources and more is your local used bookstore. Half Price Books in particular has been invaluable to me, with a frequently changing selection of French literature and reliable reference materials. The cost is a fraction of what you’d pay for new books, and you can skim anything that interests you before buying. Online retail offers similar options, but may require more guesswork as to what you’ll find useful. Just look for a generous return policy! Another great option to supplement your learning is FluentU. One of its unique features is that there are always copious examples of how every word is used. Often, those examples are from real-world videos. There’s no better way to learn French words to perfection. It’s easy to think of immersion in terms of making as many of your surroundings as French as possible. You can watch French movies, listen to French music and radio, read French publications, eat French food and so on. This is the obvious approach and there’s nothing wrong with that. Now, the worst-case scenario here is that you’re under the impression that you hate French people and French culture and you’re only learning the language out of necessity. Keep in mind, one study found that 44% of French people aren’t too keen on the French, so you would still be in good company! Regardless, it’s good to remember that the French language has a rich history elsewhere. Your search for French culture doesn’t need to end at the Swiss border or the shores of La Rochelle. French has been spoken for years in Haiti, French Canada, French Polynesia, a large portion of Africa and elsewhere. Find examples of French as spoken out-of-town and you’ll develop a sense of regional accents and mannerisms. Studying the way French culture has been adopted and adapted in other areas of the globe will be a refreshing change from the norm — and will also give you new insights into the homeland! Let’s say you’re home by yourself on a weekend and you’re getting hungry. This is a learning opportunity! Why not make yourself an omelette or a croque-madame? It’s surprisingly easy to find an online video of someone explaining how to cook a particular dish in French. Don’t forget to take notes! Watch as many times as needed, then attempt to make the dish yourself and talk yourself through each step in French. If all goes well, you’ll have learned a new recipe and added some words to your vocabulary. But even if you end up having to order pizza, you can still be assured you’ve accomplished some serious French learning. This same approach can be applied to other projects, creative or practical. Arts and crafts, DIY home repairs, music instruction and more can all be found in French with a little digging. Again, specific goals help contextualize your knowledge. You can lose yourself in activities, letting your linguistic instincts take over while you accomplish something tangible. Some of the best learning is done when you don’t even realize you’re doing it! Your learning method will always be specific to you, but you are never totally alone. Although methods may differ, many language learners encounter the same obstacles and find themselves asking the same questions. Today’s proliferation of message boards means that you can always find a peer group to accompany you on your journey to French fluency. This isn’t necessarily about resources – we’ve already covered the helpful community on Lang-8, for example. It’s also about immersion. You’re trying to immerse yourself in French culture, but in doing so you are already immersed in the culture of language studies! Thousands of people are learning French on their own every day, and it’s helpful to realize just how big that boat is. You’re in it together, so get to know your fellow passengers. Aside from making friends, you’ll find new avenues of study, reduce stress and gain a fresh perspective and appreciation for the adventure you’ve begun! Remember that language is about meaning. A lot of what I’m suggesting here is for the sake of providing context for your knowledge, and context is ultimately what determines the “correctness” of what you’re doing. After all, you wouldn’t speak French to the ticket agent at Tokyo Station in Japan. No matter how authentic your accent or proper your grammar may be, it would be wrong! The point here is to think in terms of ideas instead of words. Words exist to express ideas. When you’re learning French, what you’re really learning is how ideas are expressed by French-speaking people. Bearing this in mind, the ideas that you are going to express can still be 100% yours. This means that you are the final court of appeal when it comes to the question of your success. It isn’t about how many words you know or how many books you’ve read. It’s about whether or not you can say, write and comprehend the ideas that matter to you. Remember this when you are trying to gauge your progress and plan your next steps. 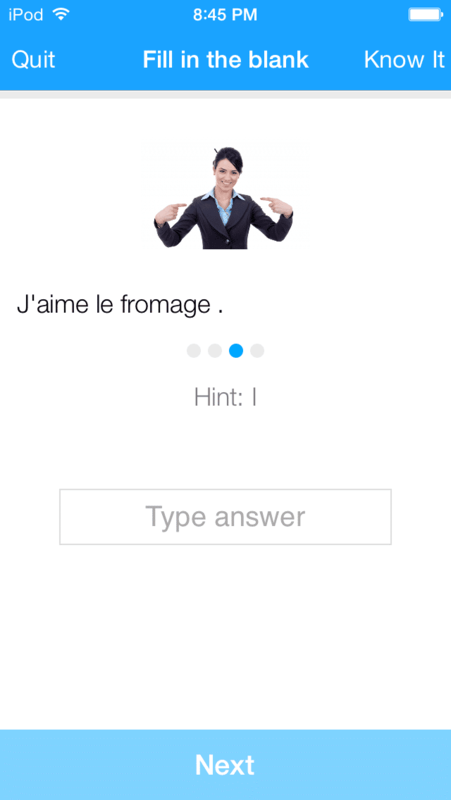 While accomplishing something on your own is a great feeling, learning French is a huge journey to take alone, so don’t be afraid to enlist the best help out there! 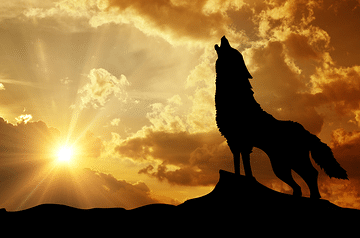 In other words, to find the tools and motivation you need to keep lone wolfing it, give FluentU a try. FluentU lets you learn French from real-world content like music videos, commercials, news broadcasts, cartoons and inspiring talks. Since this video content is stuff that native French speakers actually watch on the regular, you’ll get the opportunity to learn real French—the way it’s spoken in modern life. 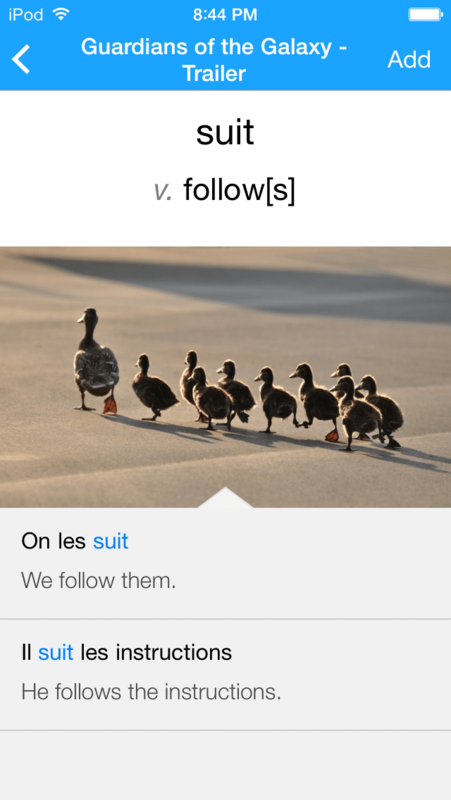 As you continue advancing in your French studies, FluentU keeps track of all the grammar and vocabulary that you’ve been learning. It uses your viewed videos and mastered language lessons to recommend more useful videos and give you a 100% personalized experience. Start using FluentU on the website with your computer or tablet or, better yet, download the FluentU app from the iTunes store or Google Play store.